#SelfieTennis is a simple game of tennis, where you play with or against yourself. Because playing with yourself is way easier than playing with someone else. 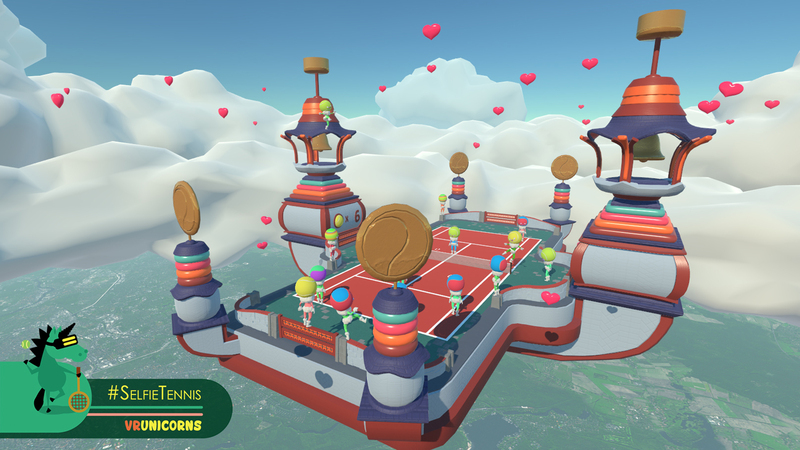 On top of playing tennis, the player is able to experience a full range of trippy tennis-related mechanics such as explosive hearts, fighting like a Jedi, riding unicorns, and of course taking selfies. In their yet-unannounced (and very secret) second game, the player must perform tasks such as delivering newspapers, selling ice cream, or making pizza in a more efficient way than normally: by shooting stuff with a bow and arrows.